Today is International Social Prescribing Day, which highlights the importance and significance of the health sector in using non-medical referral options to improve the health and wellbeing of patients. Options such as parkrun. Here in Australia, parkrun is keen to build on the groundbreaking #parkrunPractice initiative that was developed by parkrun UK in collaboration with the Royal College of General Practitioners last June. 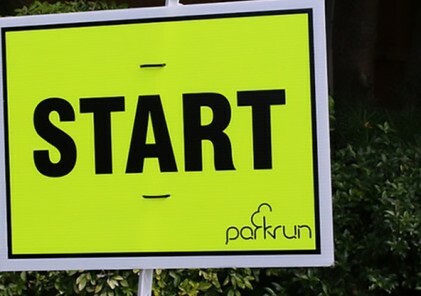 The initiative has seen more than 700 GP practices in the UK partner with their local parkrun event to signpost patients and staff to take part in parkrun to help treat a host of health conditions and improve physical and mental wellbeing. Although it is called ‘parkrun practices’ we know that it is not just GP and practice staff that are promoting parkrun to their patients. Whether people come along to walk, jog, run, volunteer or simply come for the post-event coffee and chat, practitioners from across primary and secondary care are seeing parkrun as lifestyle medicine. To help us understand how widely this is already happening informally in Australia, we have put together this short survey. We are kindly asking all primary healthcare professionals to take a moment to complete the survey and to share it far and wide. 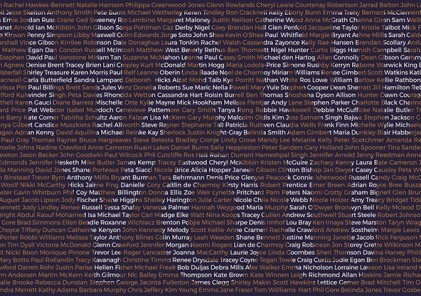 We have also spoken to a selection of people who are living proof that parkrun is just what the doctor ordered! “I often refer my rheumatology patients to parkrun, as physical activity is an important part of self-management for patients with arthritis and MSK conditions. In our rheumatology outpatient clinics, we have parkrun posters in the waiting area and in all consultation rooms. Our physio department has a ‘Free and low-cost exercise in Leeds’ folder for patients to browse in their waiting room, and has information on parkrun within the folder. I provide my patients with a copy of the parkrun posters to take away for them to look into. Often, my patients may not be able to run, and most are socially isolated due to their limited mobility. So I always recommend that they just turn up at a parkrun just to see what parkrunners get up to, with the hope that they may become interested to try it out themselves, with the emphasis on walking (even part way just as a start!) and volunteering. I would also ask if they have children/grandchildren or friends and families who they can take with them. I have got whole families excited about the prospects of participating at parkrun, when they come with the patient to their clinic appointments. By providing patients with self-management strategies, including participation at parkrun, we are able to successfully discharge them back to their GPs. I ensure that my clinic letters to their GPs mention parkrun as a recommendation, with the hope that it may encourage GPs to realise parkrun as a good option for helping towards patients’ health”. 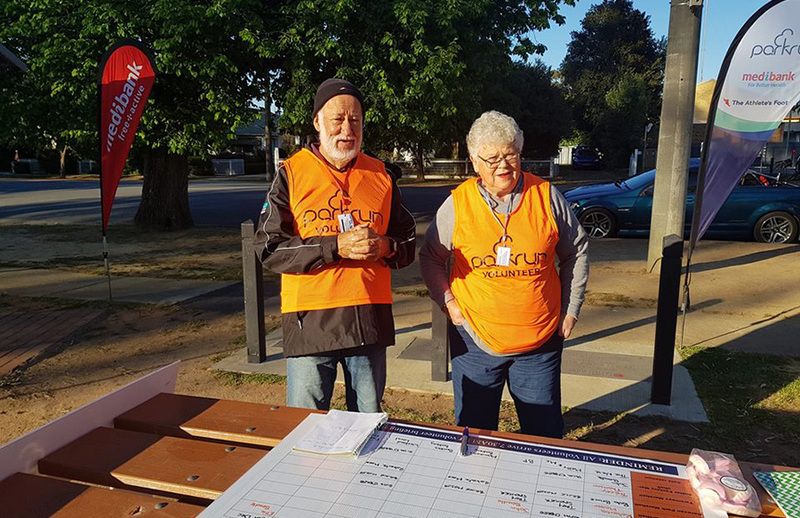 As the emphasis placed on social prescribing grows, the role of the Community Navigator or Link Worker is becoming increasingly important in connecting patients with community assets like parkrun. 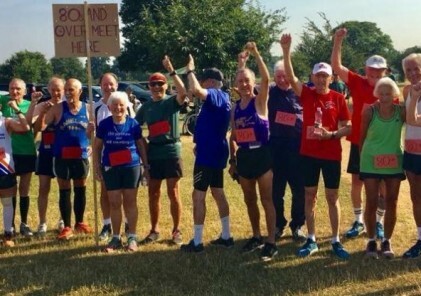 “In my role as a social prescriber (and a keen parkrunner myself), I have found that I have been able to pass on my love for parkrun promoting it as a wonderful weekly event which can help people to get active. It is easy to promote this regular free inclusive event that welcomes walkers, joggers, runner and volunteers. I have recommended it as a friendly place for a young single mum on a limited income to go and get active with her children. I have reassured those who think it is just for runners that walkers are always welcome”. “As oncologists we prescribe drugs and we prescribe radiotherapy. Yet, despite the growing evidence for its benefits, most of us don’t discuss exercise with our patients. This may be because exercise is not something we’re taught about in medical school and as junior doctors. It may be because, commonly, healthcare professionals often don’t look after ourselves; if we don’t exercise how can we tell our patients to? It may be because we are so stretched working in the NHS, that we don’t even get time to do the ‘essentials’ properly in each clinic appointment; finding the time for ‘extras’ means patients waiting anxiously to see us will spend even longer in the waiting room. And it may be because we don’t know how to bring up the concept of exercise to our patients. Having avenues to signpost patients towards makes starting the conversation around exercise much easier. As healthcare professionals I believe we owe it to our patients to make the most of the ‘teachable moments’ that come with each clinic appointment and take the time to educate them to the power of exercise alongside and after cancer treatment. Then patients are able to make their own, informed decision as to whether or not they want to work on increasing their activity levels. Sometimes it’s the little things that make the biggest difference, including giving patients permission to be active and being aware of local support networks that might help. Social prescribing is additive and perhaps even synergistic with drug prescribing. One man in his seventies told me “I feel alive” when he finished a 5K Your Way event at a parkrun during his chemotherapy. That’s a good enough reason for me to believe in social prescribing”. Ruth Kent, Lecturer in Physiotherapy, is also helping to educate the next generation of healthcare professionals about social prescribing, and the role that parkrun can play in improving health and wellbeing. “As healthcare is constantly evolving, so too is physiotherapy education. Higher education providers training future physiotherapists are delivering courses which are reflective of the changing landscape and social prescribing is now a staple part of the curriculum. This weekend I am encouraging student physiotherapists to experience one successful example of social prescribing by attending a local parkrun close to our University. parkrun is such a great option for people to be physically active either by walking, jogging or running the course. There is also the option to volunteer which helps support mental wellbeing as well as meeting the local community. Jenny Featherstone is a children’s physio working in neurodisability and is passionate about parkrun as a valuable tool for her patients. “Prehabilitation”, the process of optimising physical and psychological health before surgery, is another important part of healthcare. Dr Thomas Kitchen, an anaesthetist working in a tertiary centre in South Wales, can see the value of parkrun Prehab; looking to improve surgical outcomes and general health prior to patients undergoing surgery. 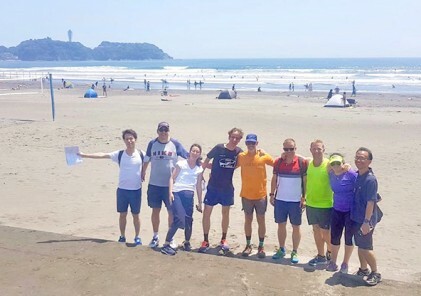 This involvement in parkrun can then be continued postoperatively, giving patients the opportunity to be outside, re-establish their social interactions and engage in light activity. 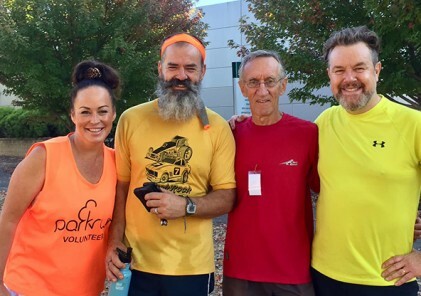 It is thanks to healthcare workers like Thomas that the number of patients taking part in parkrun is growing, and we love hearing first-hand stories about the part parkrun has played in helping these patients recover from, or manage, health conditions. Take 36-year-old Craig Chapman for example. Craig had been homeless for many years before moving into a flat in London a few years ago. His mental health nurse, who is also a parkrunner, introduced him to Canons Park parkrun. “I have mental health issues, Type 2 diabetes, nerve damage and I was overweight. I couldn’t run for a bus. I was talking to my nurse about things that could help me and she suggested parkrun. I was introduced to the Run Director who was kind and welcoming and the parkrun community was really supportive. I’ve now run eight parkruns and volunteered 28 times. I am a new man. I am moving more comfortably, my sugar levels have dropped and my GP has put me on a clinical trial to see if I can come off my mental health medication. I have joined a running club, run 10k races, earned two medals and am walking more than 10,000 steps every day. As a result, I am eating healthier and sleeping better. Sharon Boland’s physiotherapist recommended parkrun as a form of aerobic exercise when she was being treated for frozen shoulder. 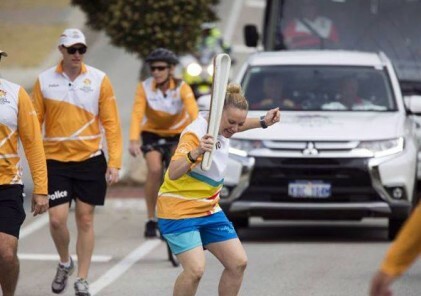 “Apparently the oscillation would be good for my shoulder and the endorphins would be better than painkillers, so I went along to parkrun in May 2013. I have been running regularly ever since, including 289 parkruns and many marathons. We have been inspired by Gwyneth Timpson, whose medical team recommended physical activity as an important part of her recovery from a heart attack. “I was already doing and loving parkruns around Cumbria and South Wales before I had a heart attack in December 2018. The medical staff involved in my recovery pointed out that my lifestyle prior to my heart attack had been healthy and so I should work towards being able to return to participating. I knew it would enable me to have a sense of progress and also a sense of returning to some kind of normality in terms of being active with other people. The fact that you do not need to run has meant that I can get back to being part of the event as soon as I was able to walk the distance”. We want to harness the enthusiasm of healthcare professionals to promote parkrun to patients and colleagues. 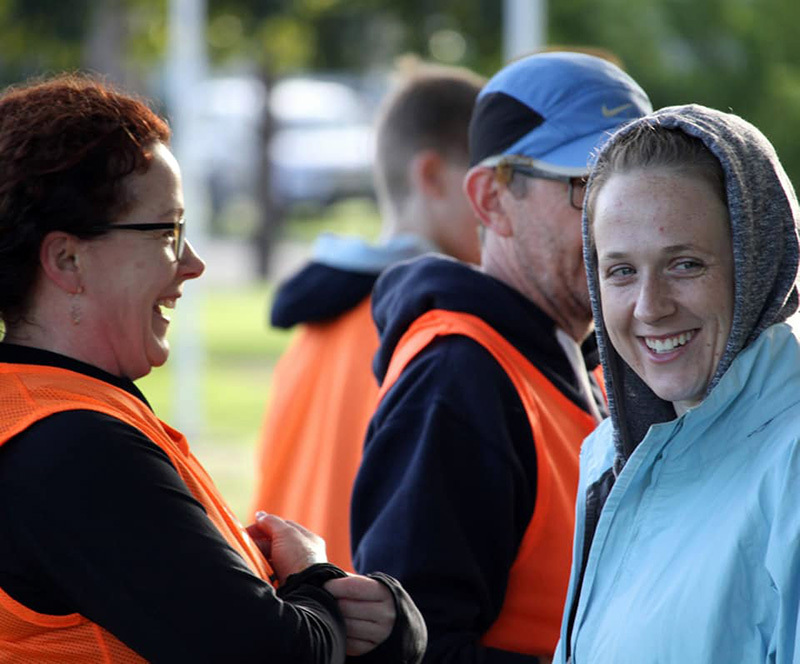 We believe parkrun has a significant role to play in supporting the growth of social prescribing in Australia and are grateful to all of the health and social care staff who are already signposting their patients to our events. Happy International Social Prescribing Day!